Preheat oven to 180°C/350°F. Cut defrosted puff pastry into 6 cm squares with a sharp knife. Core pears and cut into thin wedges. 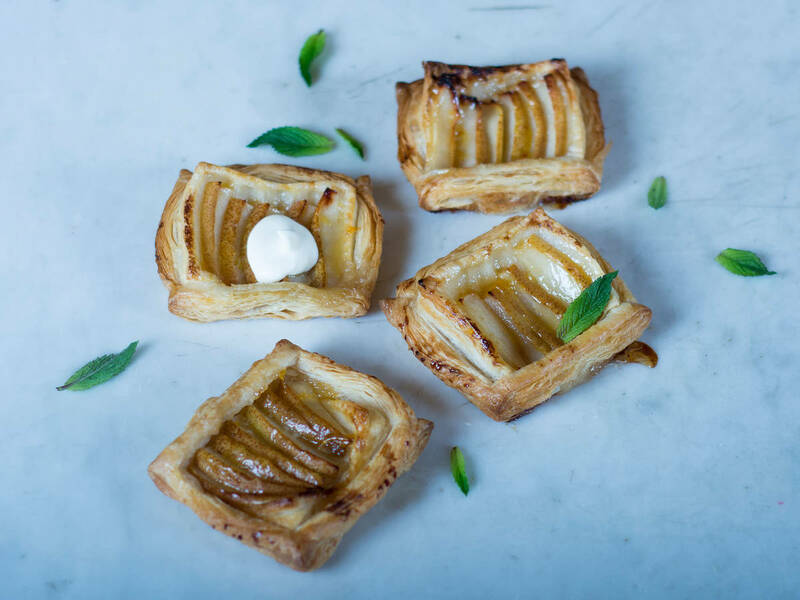 Spread pear slices in the center of each puff pastry square. Sprinkle tarts with sugar, then with some slices of butter and bake for approx. 20 - 25 min. at 180°C/350°F until golden. In the meantime, heat up apricot jam with some water in the microwave or on the stove until liquid. Brush the finished tart with jam and serve warm with a dollop of whipped cream.